Gregan & Co is a boutique general insurance broking practice specialising in retirement villages, motels, retailers, property owners, professionals and contractors including transport operators. 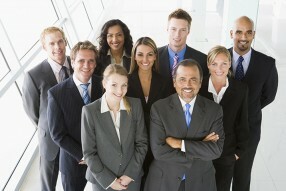 In addition, we have experience in conducting insurance audits. Gregan & Company Limited was formed on 16 August 2004 by Mark Gregan, who is the founding shareholder and Managing Director. Mark has more than thirty years insurance industry experience which includes more than twenty four years insurance broking experience of which fifteen years’ experience were with international insurance broking firms Minet and latterly Marsh. Prior to forming the company on the 16 August 2004, Mark was a Branch Manager of Marsh. Mark is passionate about insurance broking and enjoys meeting with existing clients and prospective new clients to understand their business to tailor an insurance programme to meet their needs. Mark works hard for all of our clients to meet their expectations and at the same time works openly and transparently with both clients and insurers. Gregan & Co are members of NZbrokers, Insurance Brokers Association of New Zealand and Financial Services Complaints Ltd for the benefit of our clients. Every business has at least some dependence on technology and the internet. So how will your business be affected when you computer network security is compromised? There are a number of insurance companies offering Cyber Insurance policies in New Zealand and we at Gregan & Co will be able to advise you about the best policy for your circumstances. Gregan & Co is a boutique general insurance broking practice which specialises in retirement villages, motels, retailers, property owners, professionals and contractors including transport operators. Gregan & Co's product and service offerings include our specialist areas, employee benefits, insurance audits and payment solutions. Our Client Resources are for the benefit of our existing and potential new clients to make it smarter and easier to deal with us. Copyright © Gregan & Company 2013. All rights reserved.